“We wanted to showcase what was achievable with this combination of beautiful tones and textures. When talking with our Brides, they’re always so excited to create the wedding they’ve been dreaming of since they were a little girl. 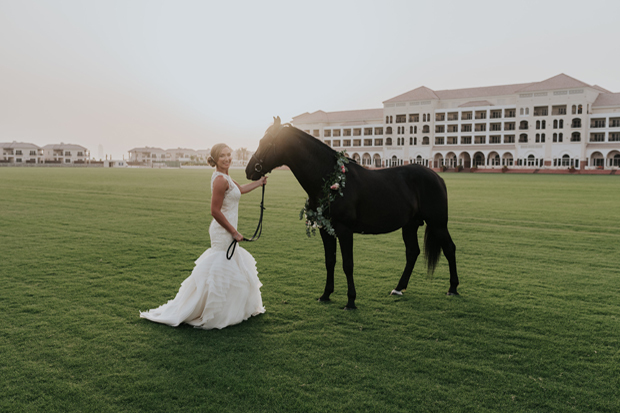 With this shoot, we set out to bring the fairytale to life and St Regis Al Habtoor Polo Resort & Spa was the perfect backdrop.” -Says Victoria Shirran Green, Co-founder & Director, Remarkable. 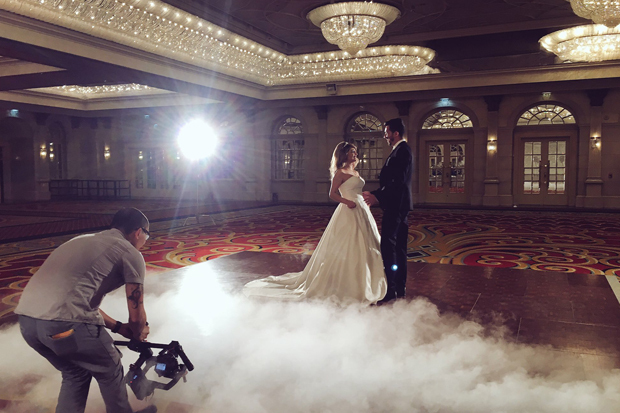 Located at the stunning St Regis, Al Habtoor Polo Resort, this indoor/outdoor wedding inspiration session enhanced the beauty of the venue using unique design elements for a whimsical, romantic look. Remarkable created a captivating reception backdrop to introduce their blushing brides-to-be to the beauty and charm of sun soaked Dubai wedding venue. 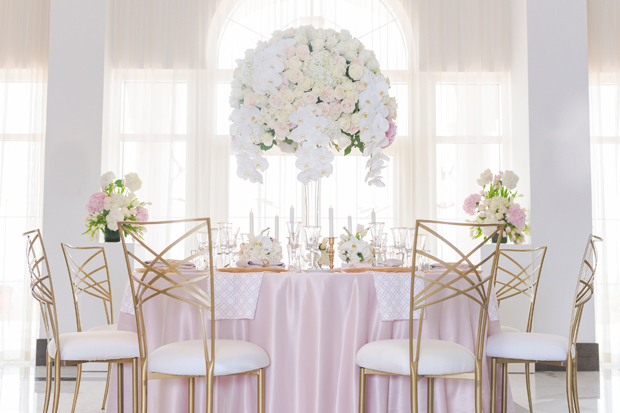 The breathtaking styling is timeless & classic filled with gorgeous & elegant colours, but perhaps my favourite detail is the drool-worthy dinner table set amidst the ballroom, outfitted with a blush satin linen from Party Social and an assortment of romantic tapered candles with lots of gold detailing.